Racism, hatred, and claims to ethnic superiority have been tragic elements of the human condition since the Fall. In every manifestation, the root of racial sin is an unbelieving heart resistant to the grace and mercy of God. The gospel of Jesus Christ, therefore, is the only hope for any meaningful racial solutions. John Piper brings the light of the gospel to bear on racial issues in this groundbreaking book. 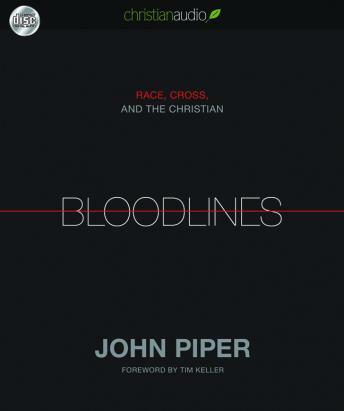 Bloodlines begins with Piper's confession of his own sins and experience with racial tensions, along with how God has been transforming him and his church. He enables readers to grasp the reality and extent of racism, and then he demonstrates from Scripture how the light of the gospel penetrates the darkness of this destructive sin. The book concludes with sections on what Jesus's atoning death means for racial issues, interracial marriage, and prejudice. With great sensitivity and compassion, along with a careful reading of the Scriptures, Piper helps readers navigate the painful landscape of racial sin, showing that in the gospel we all have a common bloodline and that through the blood of Jesus, race and ethnicity become secondary for a common people of God.